Sirena Rowland, Lancaster-Lebanon League bowler, will advanced to the semifinal. To read more about the upcoming semifinals, visit LancasterOnline. Matt Martin Bowls His First 300! 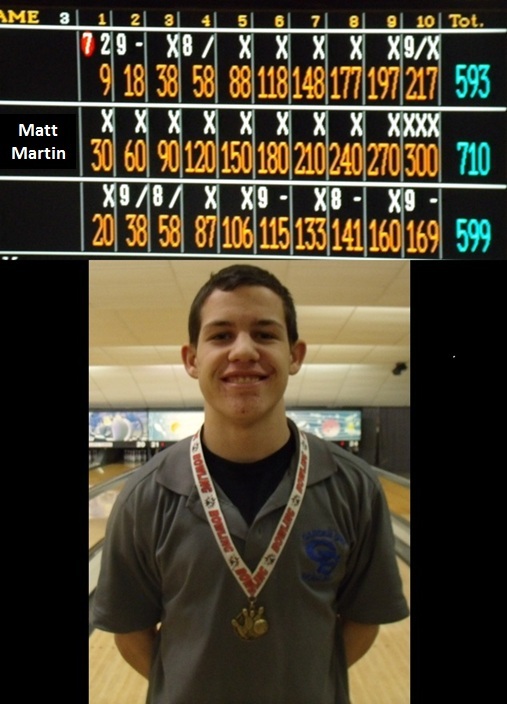 Matt Martin achieved perfection bowling his first 300 at Liesure Lanes bowling in the League singles tournament on 2-15. also in district singles 2-25 Matt rolled his way to a 3’rd place finish. Way to go Matt! Garden Spot Bowling Team wins the Icebreaker Classic. The bowling team members were Nick Martin, Sirena Rowland, Cody Henry, Matt Martin, Nate Wallace, Katie Redcay, and Alessio Caruso. Matt Martin lead all bowlers with a 765 triple.